What do you do when your initiative is focused on the outdoors and it rains for months? You use your initiative and find day walks to go on which won’t become treacherous if the weather turns. Such was the dilemma that Hikoi Waewae faced over these last few months as their roopu walked across the West Coast. In the process they learnt a lot about themselves as well. This week it was with great pleasure that we travelled to Hokitika to receive the final presentation of their work from Rauhine and Jah-vanah. We learnt how the whānau had taken on new training : a bushcraft course, a river crossing course. For Rauhine, who had grown up crossing the river on the pounamu trail she wondered what value would the principles and methods of river crossing offer someone who had been doing it all their life? Turns out she learned a couple of things. That instead of discarding your pack in the water, it becomes buoyant and can help you stay afloat; or that to assess how deep or how swift a river is throw a stick downstream and follow that twig at walking pace. One of the most wonderful things was hearing the stories unwind beyond the names of places. Arnold River is actually Kotuku Whakaoho – reflecting the dawn when the white herons were startled by the attack at Lake Moana. Kumara was the name that the early settlers used for Kohimaramara – finding it easier to pronounce. Runanga was the place at which the people gathered to decide whether to return to Arahura or to Kaiapohia. During the passage of Hikoi Waewae, the whānau learnt about the battles between Kati Wairaki and Kai Tahu; the heritage and history of the Chinese goldminers, the wahi tapu at Mahinepua, how to make balm out of Kawakawa. And now, with the satisfaction of over forty hīkoi clocked up, the whānau are thinking big: registering Hikoi Waewae as a company, laying the foundation for a new journey into cultural and heritage tourism. We are so proud of all they have achieved, and the momentum that they have built. While I was over on the Coast Pari Hunt and I took the opportunity to meet up with new Whānau Ora Navigator for Makaawhio, Helen Rasmussen, our Navigator for Te Ha o Kawatiri, Richelle Schaper, Chief Executive for Poutini Waiora, Carl Hutchby, and our Contracts Advisor for Te Tai Poutini, Gina-Lee Duncan. Helen lives in a remote community in the Haast, situated in the heart of the Te Waipounamu World Heritage Area. Just under 300 people live in this precious community; an area all the more special because it is home to the rare species of kiwi known as tokoeka. On Tuesday, I travelled up to Kaikoura, to spend time with our Whānau Ora Navigators. We are looking at meeting up once a month, to keep track with all that is happening and to ensure our support is channelled to where it needs to be. As a call for action, Te Pūtahitanga seeks the prevention of suicide in Te Waipounamu in a manner consistent with the Whānau Ora approach. The emphasis is on strengthening whānau connectedness to create sites of safety and wellbeing across Te Waipounamu. We believe that a coordinated and consolidated approach to suicide prevention within Te Waipounamu would reduce duplication and provide a greater economy of scale for distribution of resources. The whānau consultation aspect of Te Koha will consist of a hui to identify what whānau say are the challenges and solutions to suicide prevention across Te Waipounamu. The Te Koha steering committee is an integral part of this consultation process. Te Pūtahitanga key stakeholders and regional providers will work collaboratively to affect change from the flax roots. Mana Tāne Ora o Aotearoa – the national Maori men’s health coalition – this week released a set of health indicators as a means of focusing attention on the issue of Maori men’s health. 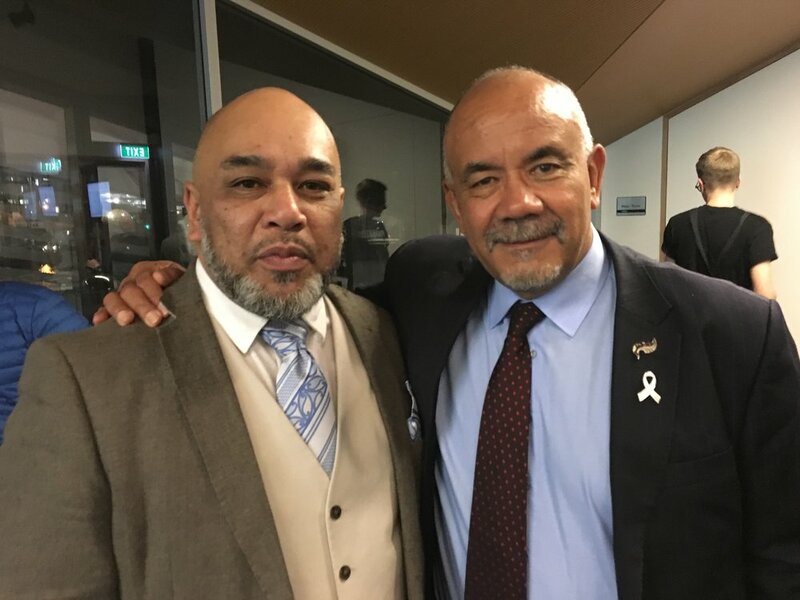 Mana Tāne Ora o Aotearoa is currently chaired by Riki Nia Nia who is joined on the taumatua by fellow members Dr Te Kani Kingi, Steve Kenny and Tahi Takao – MTOA Kaumatua. Lee Luke on behalf of Mokowhiti project manages their core business as required. The development of a Māori Men's health indicator tool is a key project recently completed by Mana Tāne Ora o Aotearoa. Indicators are being used widely throughout health and social services in both private and public organisations. 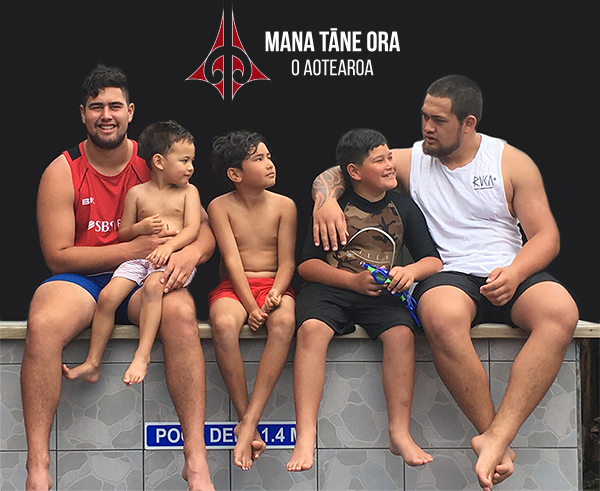 Mana Tāne Ora seeks to achieve improvements in Māori men’s health by identifying a focal set of indicators linked to Māori men’s health as well as an online measurement tool. This week, the Minister for Whānau Ora, Hon Te Ururoa Flavell, was delighted to launch the tool at Te Wharewaka in Wellington. You’ve heard it first….watch this space for the calling for expressions of interest for Wave Seven this coming Monday 21 August. 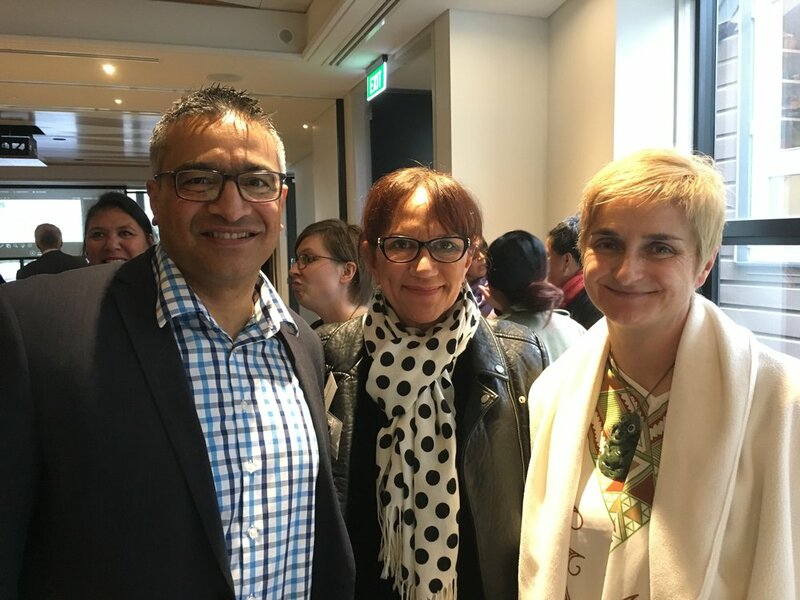 Our GPL Board member, Donovan Clarke, was very proud to attend the Centre for Social Impact conference this week and to listen to the korero from Dr Hana O’Regan, who delivered a powerful presentation on her journey growing up in Wellington, the Ngai Tahu story and our future rakatahi to a large group from the philanthropic sector. The woman inbetween Donovan and Hana is Te Puea Winiata, Chief Executive of Turuki Trust in Auckland. I guess one could say when isn’t it time for our children to make us proud? Next week Murihiku Polyfest takes over the South : it looks an incredible programme! Almost every school, kindergarten, kōhanga, preschool across Southland whakangahau at Polyfest – giving it all they’ve got! For the 2016 Polyfest alone they drew 6683 participants from Rakiura, right across Southland, Central Otago, Lakes District and South Otago and close to 30,000 spectators. This alone has a vital impact in uplifting and validating Maori culture. We know that the real essence and benefit of such events is the strengthening of identity for individuals and whanau. Further north, this week, on Friday, there was a clash of timetables with Okea Ururoatia: Christchurch Primary Schools Cultural Festival 2017 and on the same day, Ka Toi Māori o Aoraki: Flava Festival 2017 in Timaru. So to end the week in style, have a look at some of these beautiful tamariki mokopuna. Ok – I couldn’t resist! My son Rangipunehu with his best mate/cousin, Tomairangi. Aren’t they just so handsome!